It's a disease. Where you just want to sew hexagons. I think a lot of people have it. I don't. At least I didn't until I figured out a way to piece hexagons with my machine as opposed to fiddly little English paper piecing. Hand piecing is just not for me. I've tried it, it's ok, I just can't keep it up for the long haul. This is a Bee block for the queen of solids, Latifah, of LAMQG fame. Would you like to try? If so, I've got some treats for you! I'm sorry that things aren't totally in focus the entire time. I'll do better next time. Treat number two is a pdf file of hexagon templates. You can print and cut out 4", 3" and 2" hexagons, all with a 1/4" seam allowance included. I hope the video is clear enough. Please ignore my horribly ragged finger nails. Awesome, I was just commenting to a friend that I don't have the patience to hand sew hexagons. Oh Liz - it's perfect! I realized when I left the Weekend Sew that you likely didn't get pictures of the awesome diamond block that you also created for me so I'll take pics soon. Thank you so very much! Oh, and you'll have to tell me what colors you want me to use for the border. Wow, I might even try hexes then. You are fabulous! I'm going to have to try this out. Your instructions are awesome. Hi! Thanks for the great video tutorial!! I see your rows were 6, then 5. Do you just sew one hex shorter every other row like that? 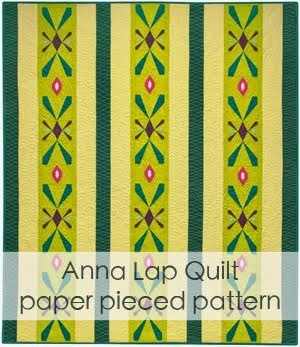 I'm wondering about machine piecing a quilt sized bunch of these?? What do you think? That's a really good video, thank you! I don't like paperpiecing so I thought hexagons were out of the question for me, but now....woohoo! I must try it soon! That is really useful. 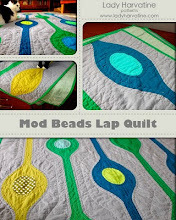 We were just discussing this at the Seattle Modern Quilt Guild. I'll be sure to share your video. thanks!! i have done the hand piecing one and it was fun. (i told my self before i did this that i would never make a grandmothers flower garden) I was in a guild and the challenge for one of the years was something to do with a garden. Well as you can guess all I could think of was a grandmothers flower garden. so I bit the bullet and made one,by hand and quilted by hand. It was sorta fun. I don't like the set-in corners but your video makes it look so easy that I think I'll have to try it on the machine now. Thanks for the inspiration. and the OK to stop and start and not try and do it in one motion. Enjoyed your video and technique yesterday...and stumbled across this Free Spirit pattern today: http://freespiritfabric.com/graphic-elements/gallerys/t197_1.pdf Instead of going end-to-end in a row, this pattern suggests off-setting the hexagons....then you can do a continuous line stitch when you join the rows. What do you think? Did you try it this way before settling on your method? They, too, leave the quarter-inch seam allowance at both ends of each hexagon. I have a long (13 hour) flight coming up in a week and am going to paper-piece my hexagons. But I'm not against trying a machine method as the paper-pieced are going into a very small project. *grin* Thanks for taking the time to put together the video and tutorial! Great tutorial! Especially for big hexes! And I love the blog redesign. thanks so much for the great tutorial!! i want to make a hexagon quilt this year thought i would work around the "real" stuff by using half-hexagons (which you can machine-sew, too). however, seems like i found a better way, thanks to you - yay!! This is an awesome tutorial. Thank you so much for sharing it with us. Never in a million years would I have attempted hexs because of the handsewing involved. You just opened up a whole world of new possibilities. Wonderful tutorial! I was hoping someone out there would figure out how to sew them with the machine. I attempted the paper piecing and managed to make one "flower" and that was all I could take! I'll definitely be trying this out! Thank you for this great tut!! I linked to your tutorial on my blog. thanks for sharing. Will try to do it to create a fabric bag...take care and hope to see more great stuff from you. Wow, thank you! I'm so excited to give this a whirl! Thank you so much for your tutorial. I did the traditional way and was discouraged by the time consuming. You are the answer to my prayers!! I can't do more than a few hexagons at a time either! I am now thinking this is completely doable! Thanks for putting together a fabulous tutorial! Excellent tutorial. The explanation was very clear.Many thanks!!! Now, let's go to make a lots of hexagons. No conocía esta técnica. Muchas gracias. Lo aplicaré cuando haga mis hexágonos. Thank you so much. I wish I had found you earlier to rescue me from hand piecing! Ugh! I shall finish that commitment and try your method too! 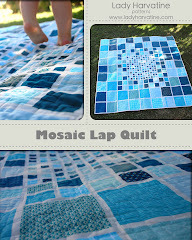 I just absolutely love your tutorial on machine piecing hexagons. I was going to try and make it work, because I was not going to do it by hand, but I have been too busy to try it and figure it all out. so now when I do get time, I can just go to it, because you gave me all the tips I should need. Thanks!!! I've always LOVED hexagons but was too lazt to handsew them. THANKYOU for this tute! Thank you for a perfect eksplanation. Many of my friends are into making Grandmother's Flower Garden which is ALL hexagons. I can cut out the hexagons for them using my cutting machine and now we have a way to sew the little critters together. Thank you for your help. Thanks so much for sharing your method! It is perfectly clear and I might finally attempt hexagons! FANTASTIC!! You have just opened up my hexagon universe!!! I wasn't able to download the template. Your video was very informative, however, so I'll have to try this in the future. Brilliant!! Thanks! thanks so much for taking the time for putting together the tutorial. also thank you for the hexagon templates. i've tried them once but they didn't turn out so great now that i have your tutorial handy i'll try again. what great inspiration! I loved your video on this. I used to work for Jo-ann fabrics and I did a block of the month kit, and that one was sewn using the "dot to dot" method not end to end on all of it's blocks. But I definately am going to try your way and use up some scraps! Really enjoyed you tutorial,was perfect. I can't wait to try. I have a few baby clothes that I'm going to throw out but decided to make a quilt out them first. I got this hexagon coaster lying around and I thought that would be a great pattern. I absolutely love this video. Great info. Thank you so much! That whole English paper piecing method looks horribly frustrating. Thank you for a better option. I had all but given up on hexs until I found your tutorial. I think I can do this! Great tutorial! Excited to try this. My only questions is how do you mark/measure the 1/4" points to start and stop with? Do you measure and mark with a dot, then sew, or just use your 1/4" foot as a guide? I'm very nervous that my 1/4" openings won't be accurate enough to create perfectly flat intersections. That is amazing. What a fantastic way to do hexagons! Thanks for sharing it! I am a novice but I want to tell you that you are an awesome teacher. I happen to be a preschool teacher and it kind of comes natural for me to teach a new thing, step-by-step, reinforcing instructions with example. You make it look easy and I will try this. You sucked me in at the first line. Thank you for the tutorial and the pdf. Now I'm off you check out your other tutorials. Wow!! I can't wait to try hexagon's now! Thank you! Great video - so clear, I want to skip the morning I had planned and try this out. Too bad for you, dirty dishes and un-filled-out job applications! You saved me! I decided to make a tumbling blocks quilt as my first quilting project ever. So, I sewed all my little hexagons together and laid the whole quilt out and then sat there thinking, "How in the world am I going to sew all of these stupid blocks together?" I turned to the internet and thank God I found your tutorial! My quilt turned out beautiful and I didn't have a single headache--thanks to you. THANK YOUUUUU! I LOVE hexagon quilts and have always wanted to make one but never thought I'd attempt it (because of all the hand stitching). Now I can't wait to give one a try!! :) Thank you thank you thank you!! Hi there, I found your site via Pinterest. There does not seem to be a video on this page. Could you e-mail it to me, or re-post it and let me know that you have done so? Would greatly appreciate! Check out a blog called "I Think Sew". 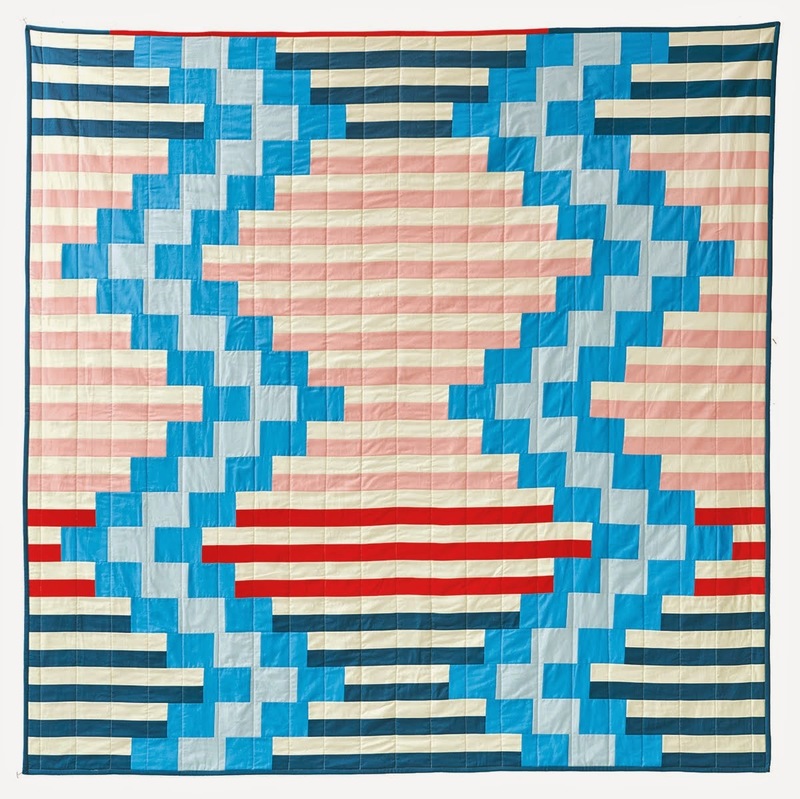 She makes wall hanging sized quilts out of small hexies. Very ambitious and awesome! Wish you were still blogging. Where did you go? Great video! Thank you! I have all my hexagons cut out and was terrified of starting to put them all together for my next quilt project. You're video has inspired me to get started. Can't wait now! thank you I just bought a sewing machine and want to do this. Oh boy have you just saved me a lot of time ! Thankyou so much for your great video.